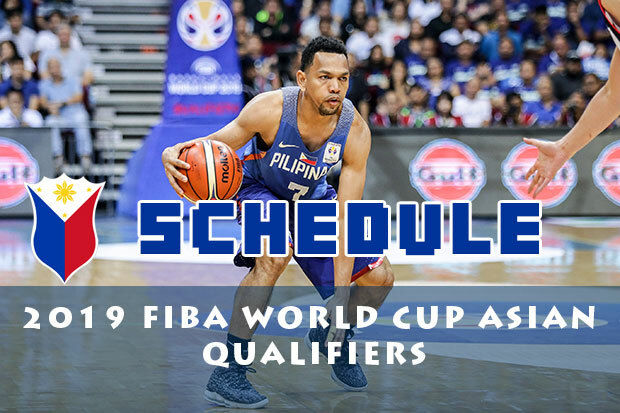 Below is the list of scheduled games of Gilas Pilipinas in the 2019 FIBA World Cup Asian Qualifiers in its sixth window. Note: Schedule mentioned above are in Philippine time. Gilas Pilipinas will resume its FIBA campaign where all of their remainder game will be played abroad. They’ll start on playing against team Qatar, a team they have defeated here in the Philippines. Gilas won the match 92-81 in a closed game where fans weren’t allowed to watch inside the arena as part of the FIBA suspension slapped to the national team. They gave a scare to team Philippines when they outscored Gilas in the first half. Yet, coach Yeng Guiao made the needed adjustment as they limited team Qatar to score below 20 points in the succeeding quarters. Their next and final assignment is the team Kazakhstan. In the 2018 Asian Games they easily disposed the Steppe Wolves led by Jordan Clarkson. However, without the Cleveland Cavaliers guard in the lineup of Gilas and the outside shooting of team Kazakhstan were sharp, the national team absorbed another defeat. Gilas is now in a virtual “must-sweep” situation in order to strengthen their chances to make it to the FIBA World Cup which is scheduled this year and will be held in China.